While waisting some time on Youtube, time well wasted, I came across this video about a fellow Japanese blogger into vintage japanese bicycle restoration, namely retr Richard. These old bikes are true works of art with their elaborate decorations and pinstriping that can put even an old English classic to shame! 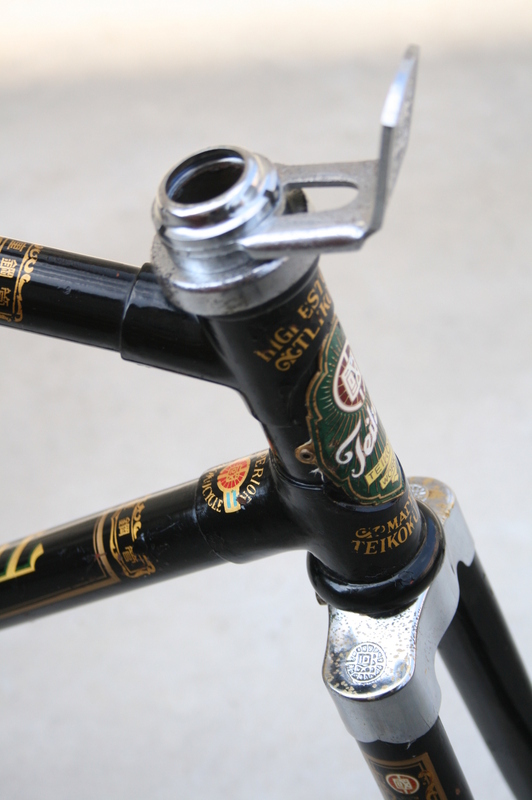 What is even more impressive is that this enthusiast Master restorer brings back those bikes to life with an insane amount of talent and patience, Check out his blog here: Vintage Japanese Bicycles There are post in English and for whatever isn't, just use Google translate. The information there and eye candy is well worth the bandwidth. WOW! that is some good work, for me its the hardest to restore the paint on these old bikes.